I was scrolling through my reader yesterday when I came across a post on BW Reviews and I could relate to everything written therein, and it prompted me to keep the conversation going. Here’s a list of some outrageous ( even though when I do them, they are classified as quite normal) things I’ve done for the love of books. Read while cooking. I do this a lot, and in my case I’m known to burn onions on more than one occasion. Missed a stop. This happens to me when I am in Kisumu or when I travel to the field for work, sometimes I get so engrossed in reading and I miss my stop, sometimes forcing me to go back by foot or take a boda boda. Lost a friend and never bothered to make amends. Well, not everyone believes that Fifty Shades of Grey and the Twilight are over rated…so, yeah, lost a friend over a five minute rant about what’s so wrong with Fifty Shades of Grey. Read during work. I do this every day. 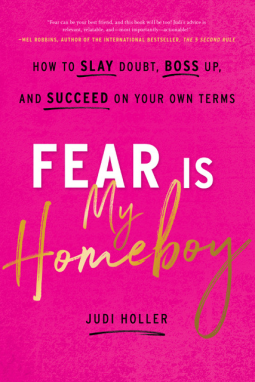 It’s not outrageous, have you read Fear is my Homeboy by Judi Holler? She talks about an important thing called DEAL: Drop Everything and Learn…see, that’s why I read at work. Requested to read books from either authors or sites. If you look on the right side bar of this blog, there’s a badge from Netgalley that says I have done this for over 500 books. This has introduced me to authors from all over the world and genres that I never paid much attention to, but came to like one or two books. Missed a meal. This has happened so many times that I find it quite the norm. If I’m reading and I’ve got coffee, then I won’t get up to prepare something until I’m done. Deleted emails/labeled email accounts as spam. Oh, internet! I don’t think this is outrageous but writers struggle to get their work published and I’ve deleted emails and labeled some as spam just to stop people from either sending or requesting for pdf copies of books. Stayed up all night. Guilty as charged! If I say I’ll read one more chapter in bed, chances are I’ll read the whole book. If my reading device runs low on power, I’ll pull the extension closer to my bed, plug it in and read until I’m done. That’s my outrageous list, what’s yours? Mine has to be not sleeping because “I have just a few pages left, I can finish in an hour or so”. Lol. The question was the book good that pulled you in? Stayed up all night to read, read a book while in the toilet and definitely read while cooking fortunately I am yet to burn anything. ❤, I am yet to read a book in the toilet.